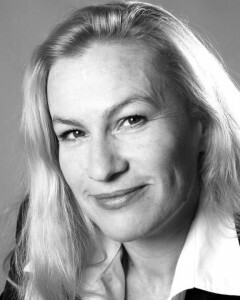 Odille is a life coach who specialises in unconditional love for self and others. 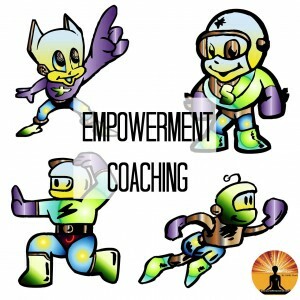 She is also the author of “The Magic Pill”, “The Second Dose”, “Beyond the Magic Pill”, and “You Have a Superpower”. Her writing and coaching work evolved from her own journey of self-development; and as she discovered the techniques, tools and insights that helped her transform from a life of stress, drama and despair, to a life of calm, peace, happiness, fun and fearlessness, she shared what she learned with others along the way. Her books and coaching are the result of this. Of the many insights Odille shared throughout her transformation, by far the most potent and effective, is the power of unconditional love. 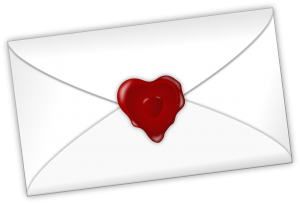 Odille discovered, through her own experience and the experience of those with whom she shared the information, that unconditional love is so much more than an emotion. It is in fact a powerful energy, and the “skeleton key” to all areas of life. Odille has now developed her work with unconditional love into a structured training course, through which she teaches individuals and groups how to use unconditional love as a power, in order to improve all aspects of their lives, and to manifest miracles. 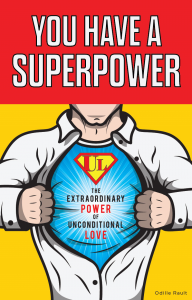 Her techniques, tools and exercises make it simple for every participant to learn to “tune in” to the energy of the power of unconditional love, and how to direct it as a “Superpower”. This work has become Odille’s top passion, and the results experienced by those she’s worked with so far, have been extremely exciting and inspirational!